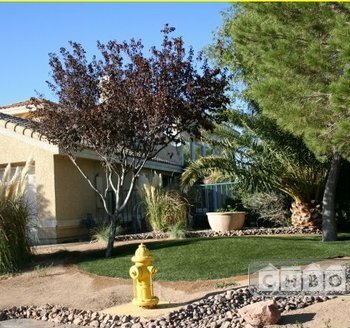 Tuscany Jewel on a Large lovely corner lot with Professional landscaping. 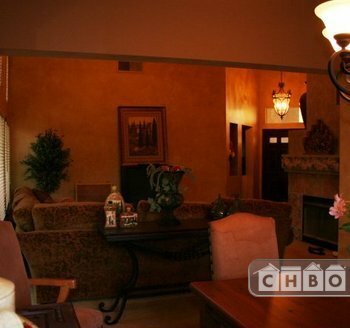 This property is located right across the street from one of four man made beautiful lakes. One of "Vegas" best kept secret! 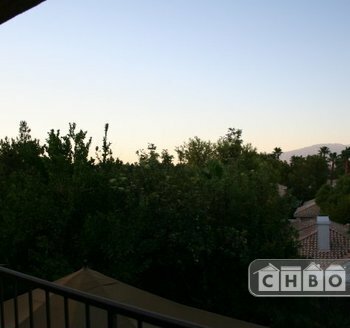 Live in this very desirable, quite, clean, gated community called "Desert Shores Racquet Club". Off West Lake Mead between Rampart and Mariner. Short walk to tranquil lakes, shops and dinning. If you love to jog, bike or walk this is the place. Available to you is the club pool, spa and fitness center with all the finest equipment. Pride of Rental beams from this 2 level 20ft. ceiling home with Terrazzo tiles galore. Beautiful Mountain views from the upstairs bedroom balcony. 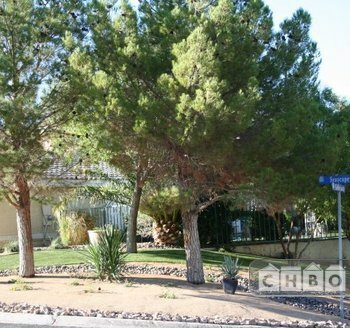 Beautifully decorated clean 3 bedroom 2 full baths with double sinks 1/2 bathroom and a 2 car attached garage. 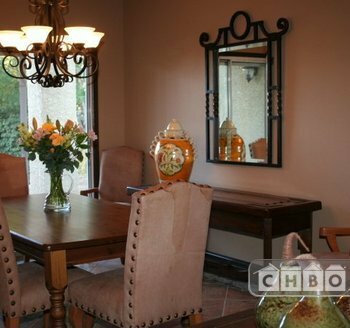 This beautiful home is "Turn Key" ready to move into today. 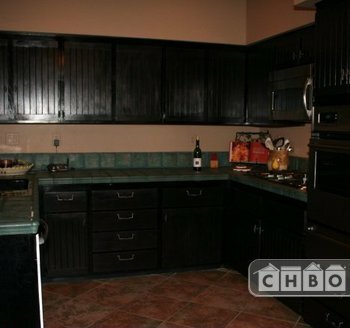 Great kitchen appliances, including washer/ dryer and TV for your exclusive use and enjoyment. Relax in your own Oasis right in your own backyard in a Gazebo or Cabana. Take those long baths in your sunken tub Too Sweet. 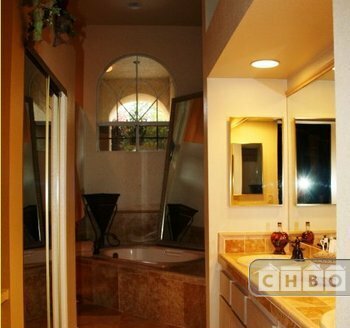 This super home has all the amenities & necessities. Perfect if you are relocating or on a temporary job assignment. This is a very special temporary place to call home. Home has full alarm system. Located approx. 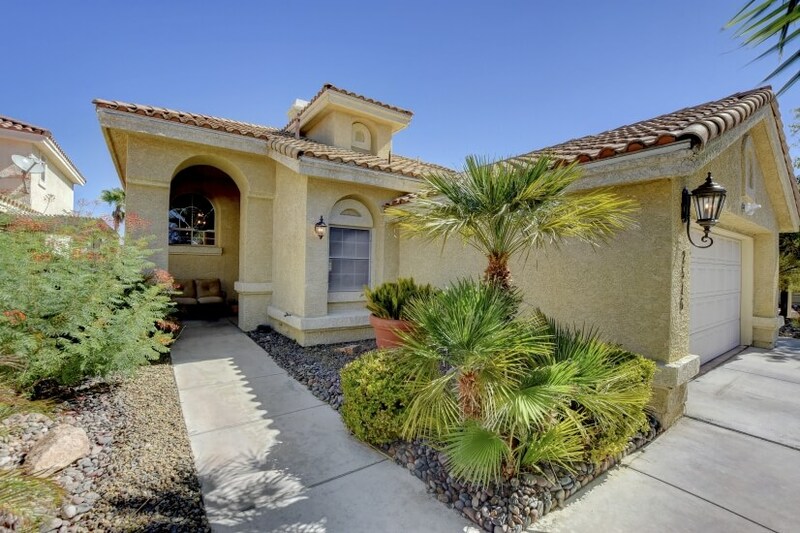 16 miles from the "Las Vegas Strip" Easy access to 215, Summerlin Parkway & 95. Shown by appointment only. One dog may be considered.